US healthcare is nowhere near what technology made us dream of a decade back. Healthcare technology was meant to act as a means of reducing costs, eliminating burnout, and making care delivery patient-centric. Cut to today, where a broken leg can cost a patient as much as $7,500, 7 out of 10 physicians do not recommend their profession to anyone, and we rank poorly among other developed countries in terms of the number of preventable deaths. While disruptive technology solutions did flood healthcare in the last couple of decades, many of them required physicians to go the extra mile to comprehend those sophisticated systems. Today, physicians are still crunching large data files day in and day out, nurses are doubling up as technical executives, and patients are perplexed by the fact that their providers hardly have time for them. In with ultimate integration. We need to bring together EHRs, PHMs, payer claims, and HIEs and put it all in the palm of the providers’ hands. Whether it’s quality management or data management, it should be simple. In with 100% transparency and bidirectional interoperability. Healthcare providers are often forced to access bits and pieces of electronic healthcare analytics and referrals on disparate applications. Physicians need to capture real-time care gaps, coding opportunities, patient education opportunities, and more; the only problem is that they don’t know how exactly to accomplish this. Providers should be able to capture the gaps in patient care right when they need to and enhance the patient experience of care. Buzzwords like innovation, intelligence, and analytics make sense in today’s time; however, unless the user experience is seamless, the charisma of backend development does little good for healthcare professionals. Technology isn’t healthcare- it is merely a medium to optimize its quality. 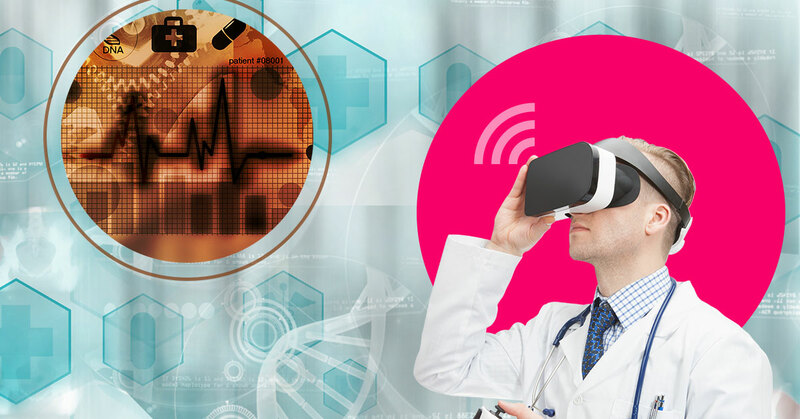 The future of healthcare technology will be defined by the amount of data systems can process to generate actionable information relevant to all the stakeholders across the healthcare spectrum. It’s time we bring data closer to reality, engineers closer to doctors, and care closer to patients. To learn how Innovaccer’s data activation platform can right the wrongs of healthcare with its award-winning AI-enabled technology, get a demo. Please enter valid Name: . Please enter valid Email address: .